On Sunday night, the Super Smash Brothers: Melee tournament at Shine 2017 forced a controversial rematch between William “Leffen” Hjelte and Daniel “ChuDat” Rodriguez, partway through the Top 8 finals. It all came down to a new rule about a Melee controller modification. 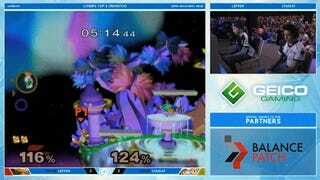 Shine 2017 is the first Smash Bros major to require the use of a Melee software mod called the “Universal Controller Fix,” or UCF. After ChuDat beat Leffen in a narrow reverse sweep, the tournament organizers realized that the UCF hadn’t been turned on for their matches. To the dismay of the players and the crowd, ChuDat and Leffen had to get back on stage and play their best-of-five set all over again. 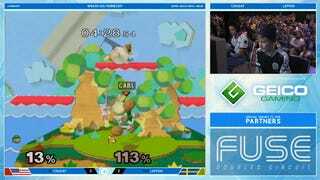 Unfortunately for ChuDat’s fans, however, the Ice Climbers main could not manage to beat Leffen a second time. The rematch resulted in Leffen going 3-2 over ChuDat, instead of the other way around. As for how big of a difference this controller mod could make, well, that’s still up for debate in the Melee community. Shine 2017 served as a testing ground for the new tool, which came out on August 8, only a few weeks before the event. The UCF is designed to correct for issues that arise with aging Gamecube controllers, the hardware of choice for players of the 16-year-old Super Smash Brothers game. Some Gamecube controllers have trouble implementing moves like shield drops and dashbacks; the problem is the controller, not the player, and the UCF mod aims to correct for those discrepancies and level the playing field. Before this point, Melee majors haven’t used the mod, nor did it exist yet. In those other tournaments, ChuDat’s win against Leffen would have counted. Shi Deng did not elaborate about ChuDat’s “demands,” although many of ChuDat’s fans have assumed the player got extra money for his trouble. Compete did not hear back from ChuDat about what those “demands” might have been before press time. In any case, it doesn’t seem like any “concession” could have made up for the disappointment ChuDat felt about losing the rematch. Shi Deng wanted ChuDat to win just as much as the crowd booing Leffen after the rematch. “Secretly, I’m actually a really big Chu fan. I love Ice Climbers,” Shi Deng said on the stream that evening. Sadly, that love wasn’t enough to convince him to break the rules.